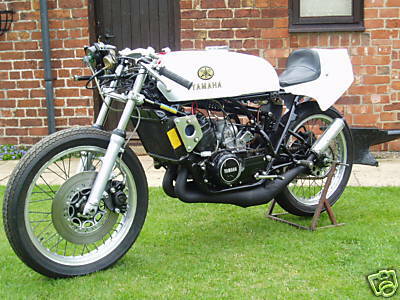 During the 1972 Yamahaãs works riders campaigned machines in the 250 and 350cc classes that utilised liquid cooling and which acted as prototypes for the following seasons production racers. 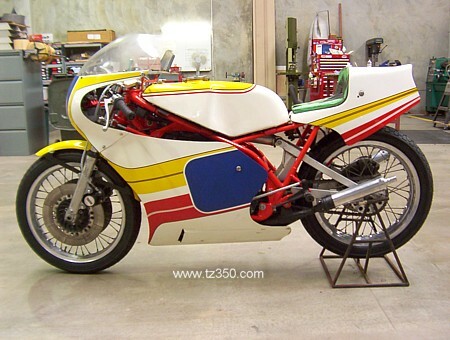 The liquid cooling employed on the new TZãs sought to address the Achilles heel of the TR3/TD3 air cooled racers ¹ their propensity to nip-up and established a line of of racing machinery whose success is unparallelled in motorcycle road racing. 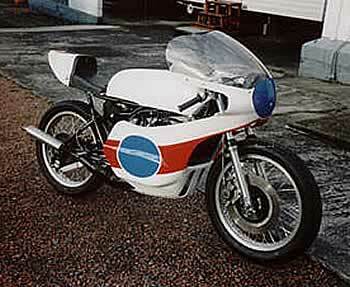 The A series models newly developed engine was housed in a set of cycle parts that were essentially the same as those employed by the previous aircooled racers with drum brakes and twin rear shock absorbers. The subsequent years B series machines continued in much the same way, however a major revision occurred 1976 with the introduction of the C÷ series. The new models employed a monoshock rear end and front and rear disk brakes. 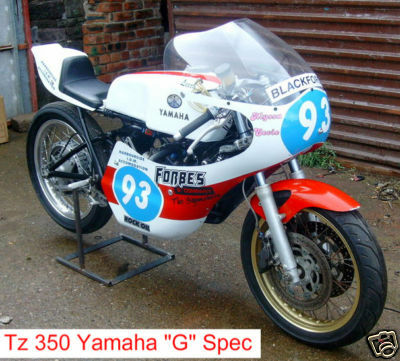 The engine had benefited from the ongoing development of the works supported bikes resulting in the 250cc producing 52bhp whilst the 350cc machine had gained 4bhp. 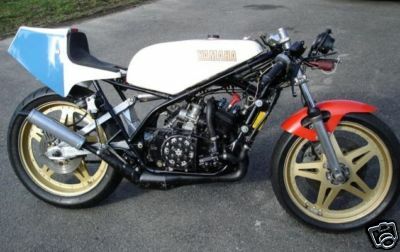 Subsequent development was limited to detail changes until the the much needed introduction of the F in 1979, a consequence of Yamahaãs R&D resources being committed to the development of new road models, partly in response to tighter emission controls and partly as a result of their battle with Honda for supremacy in the market place. 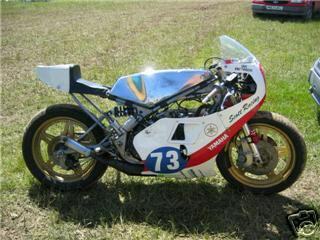 Yamaha also produced a limited number of TZ50 production race bikes between 1990 and 1991 specifically for use in a Japanese National Championship. Subsequently a very limited number of the machines were exported to the United States and Europe. ex-Gary Cowan & lap record holder @ Ulster GP. Yamaha TZ350 Maxtron front, maxtron rear shock, lockheed calipers, brembo discs, twin disc, spondon adjustable yokes, 38mm reverseslide carbs, scitzu rev counter. 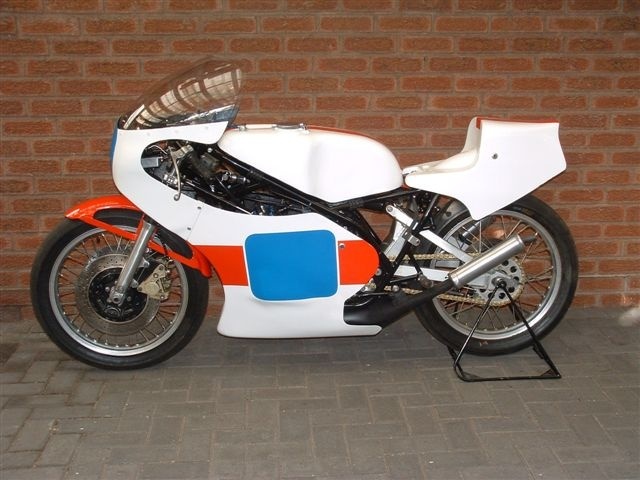 Based on a 1976 RD250 with LC rear end, astralite wheels, ap lockheed brakes, painted in tz colours, rd350b motor, motoplat total loss ignition, 40/1 premix. Reverse slide carbs, TZL ignition, new maxton shock,new lockeed calipers. 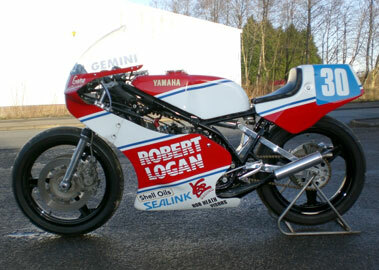 2006 PRE TT classic winning bike ridden by Ian Pattinson. 2007 runner-up in the FRC Championship ridden by Jamie O'Brien. 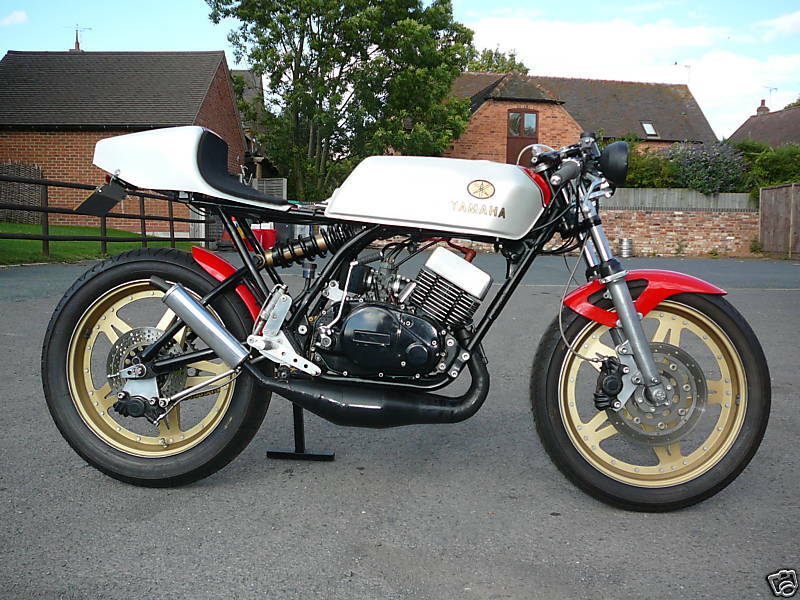 1975 Yamaha TZ350C More Yamaha TZ350 info..
ex Tony Green this bike is a genuine prototype the only one ever built using this design chassis. Ignition cross over pipes, Campagnola magnesium wheels, Brembo dics and calipers, Marzocchi forks. 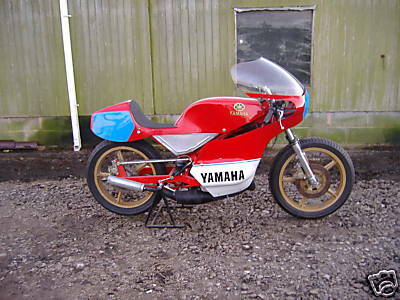 1978 Yamaha TZ350E This bike was originally supplied to Chris Palmer and subsequently owned by Dennis Irvine of Aberdeen. Both previous Scottish Champions. Dennis fitted the "G" spec engine and exhaust system. 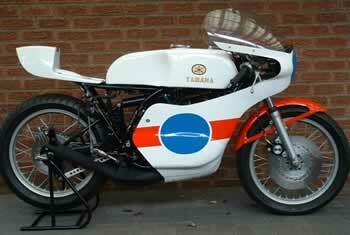 1980 Yamaha TZ350 G G spec 3G3 cylinder and head, 38mm power jet carbs. 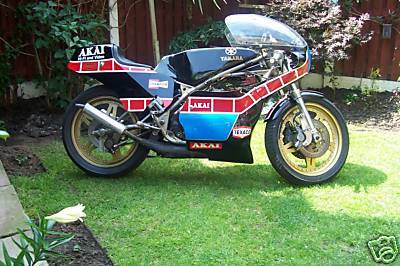 1981 Yamaha TZ350G Spondon frame. 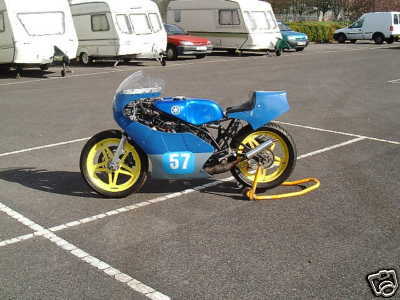 The engine has, 250cc primary gears, barrels that are steel lined by Farhon Eng with "G" spec porting, the pistons are by Wiseco, the expansion boxes are by Andy Bacon and are in good condition, the clutch centre has been modified by Greenham racing with "top hat" spring inserts, the water pump is a 12 volts item replacing the origional crank driven item, the temp gauge is a 12 volt item, the ignition is 12 volt by Pro Digital and is programmable with two ignition maps,the power source for all electrical items is supplied by a 3500ma stick, the carburetors are 38mm powerjets with stone guards. The rev counter is a Scitsu unit. 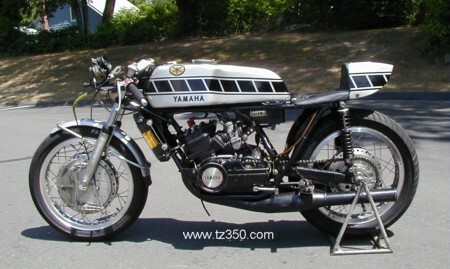 Yamaha TZ350G Initially it was a Tz350 "A" which has been modified by reputable Chassis Guru's Spondon.